Flat roofs have unique architectural characteristics that make them desirable in many situations. They are ideal for climates that don’t experience large quantities of rain and moisture. A rooftop garden or additional outside living space are the top reasons people choose flat roofs. Along with the benefits of a flat roof come unique challenges. 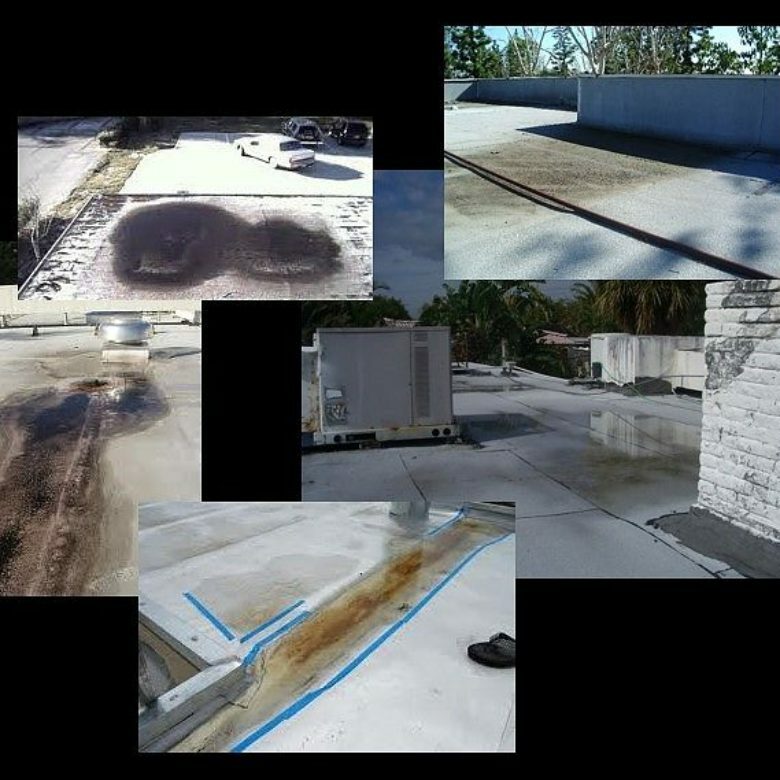 The most critical of these issues is the flat roof drainage systems. Your building and location can help determine which drain will fit your roof needs. Of course, the best designed flat roof has the correct amount of pitch to drain the water off naturally. There are roof coating products available if there isn’t enough slant or slope to accomplish this. 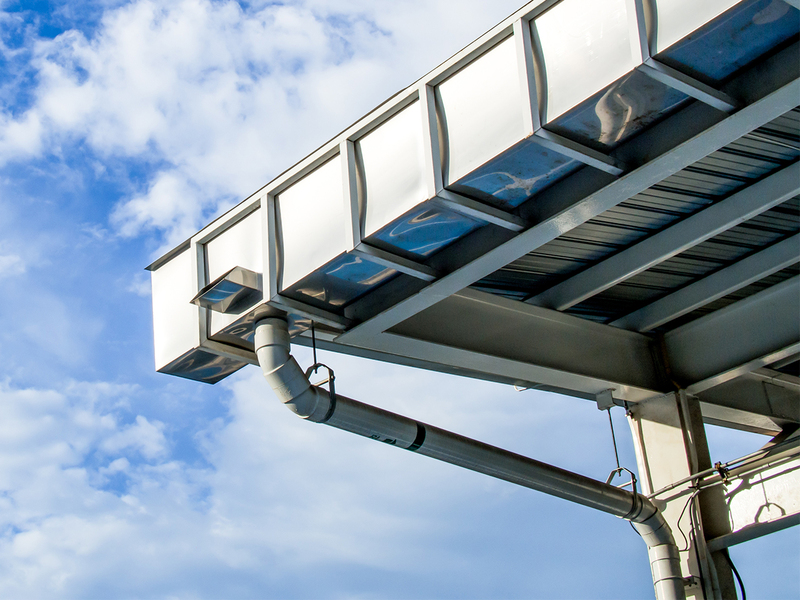 There are three types of drain systems commonly used on flat roofs. Each of these systems has its own pros and cons. A major maintenance issue shared between all types of roof drains is debris removal. Regular cleaning and unblocking of the drains, gutters, and scuppers is mandatory. Each of these systems can become clogged by debris. This may include dirt, gravel, leaves and other foreign materials. 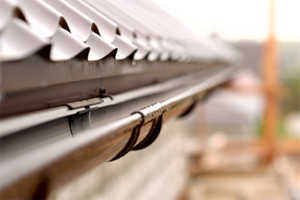 Rain gutters are the most common drain system in use for all types of roofs. Inner drains are found many times on large building roofs. Residential homes may also have this type of commercial roof installed. The drains are usually placed near the center of the building. They attach to pipes that drain the water down through the building’s roof. This keeps the water safely away from the walls and foundation. Unlike gutter systems, inner drains will not freeze up and crack or fail during the winter. The building and walls naturally protect the pipes from the elements. Inner drains are customizable as an attractive feature of your flat roof. Increase your building’s curb appeal and beauty with custom fittings. Strainers for inner drains are best when custom-made to fit your roof and your particular climate. They assist in keeping any debris from clogging the drain. 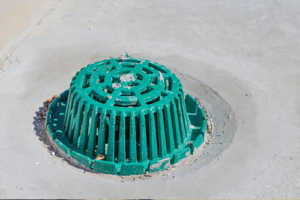 Inner drains are the costliest of the three drain systems to install. Maintenance and repair of an inner drain system usually require a professional technician. This leads to an even larger expense. 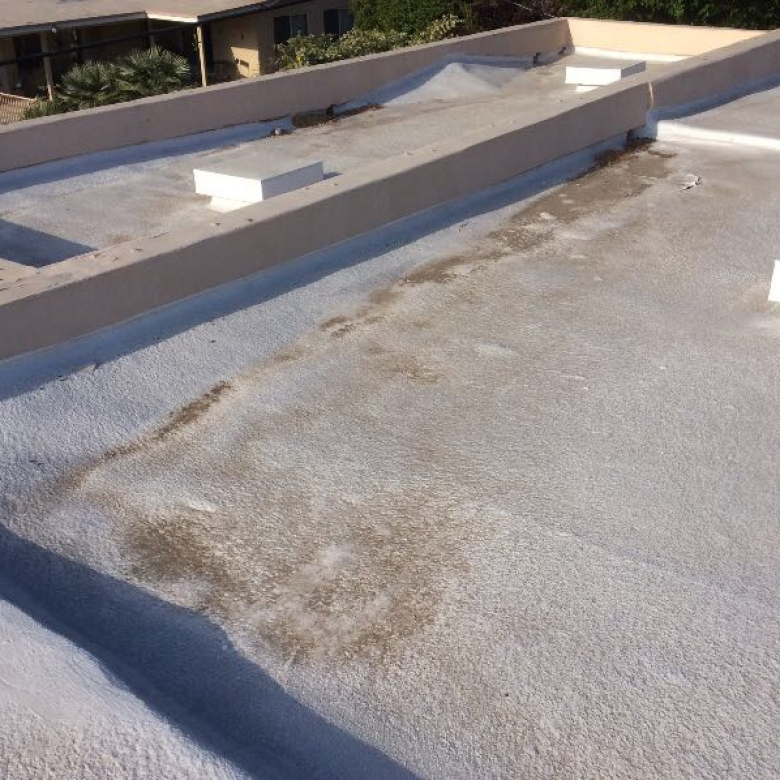 Vigilance is necessary regarding debris on the flat roof with inner drains. A small amount of debris can completely clog the system. This can become a domino effect as water will have nowhere to go, creating standing pools of water. Be sure there is an adequate and appropriate number of drains for the size of your roof. Not enough drains will cause a problem with water building up. To put it simply, scuppers are openings in the outer walls or curbs along the roof line. They allow water to run through the wall via a metal box protecting and surrounding the scupper. When designed and installed in the correct manner, scuppers are usually the best value. 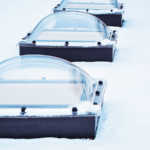 They are the top choice for draining water from your flat roof efficiently. 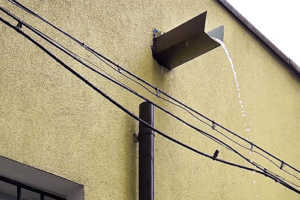 The only real negative with scuppers occurs when they hook up to a downspout or gutter. Because of the clogging habits of both of these attachments, it is a better idea to leave them off of the system. Any of these three systems are an effective choice. That is as long as you have the correct design, installation, and maintenance. 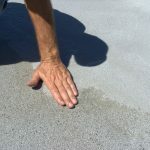 If you would like more information on ensuring proper drainage for your flat roof, contact us at RoofSlope.